A visit to Dr. 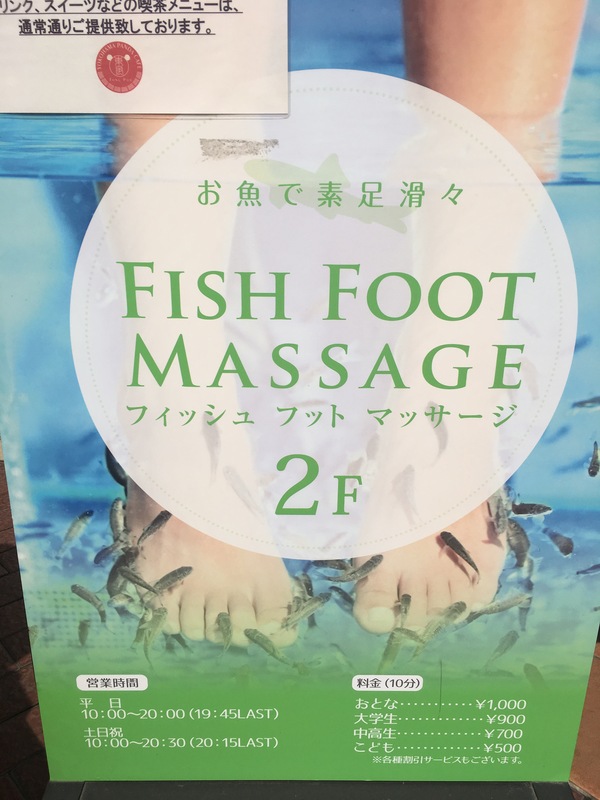 Fish foot massage in Yokohama’s Chinatown has been on my list for a while. 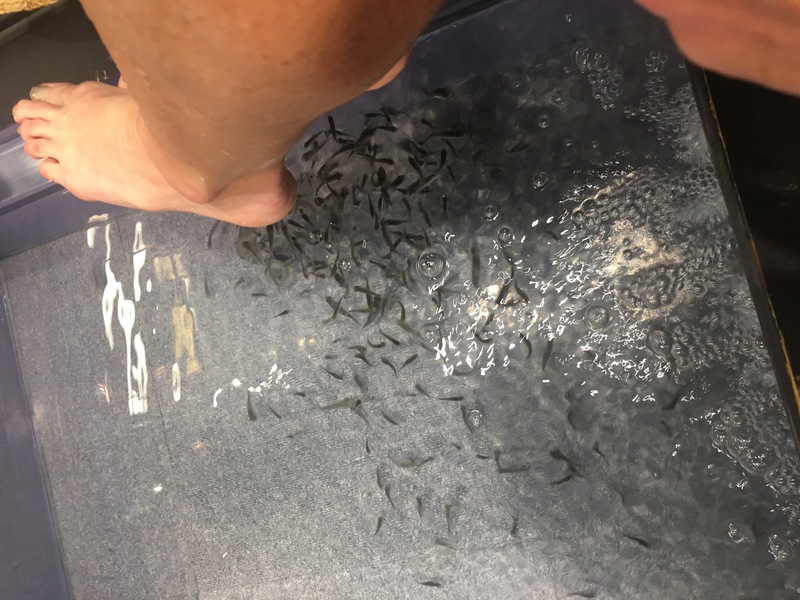 To be honest, one of the reasons I haven’t gone was the thought of fish snacking on my feet freaked me out. I almost chickened out today! 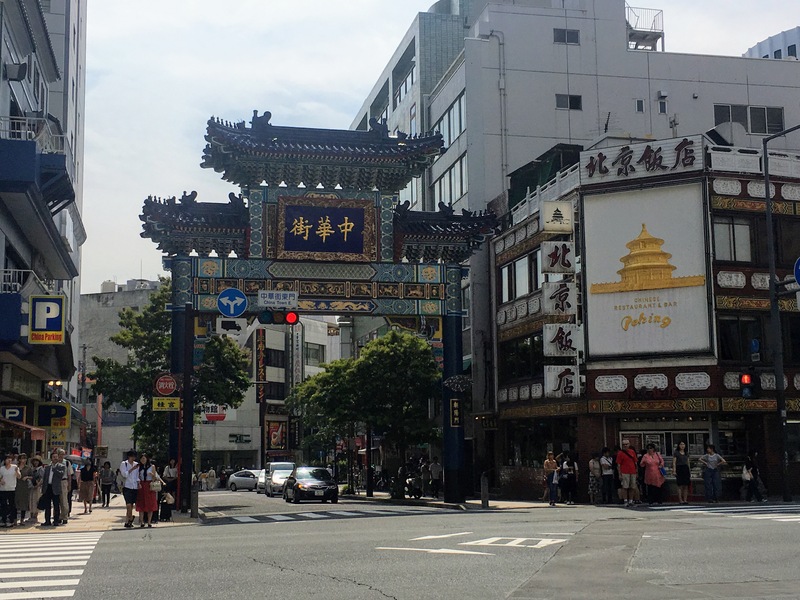 Katie and I went to Yokohama’s Chinatown to have lunch, explore, and visit Dr. Fish. 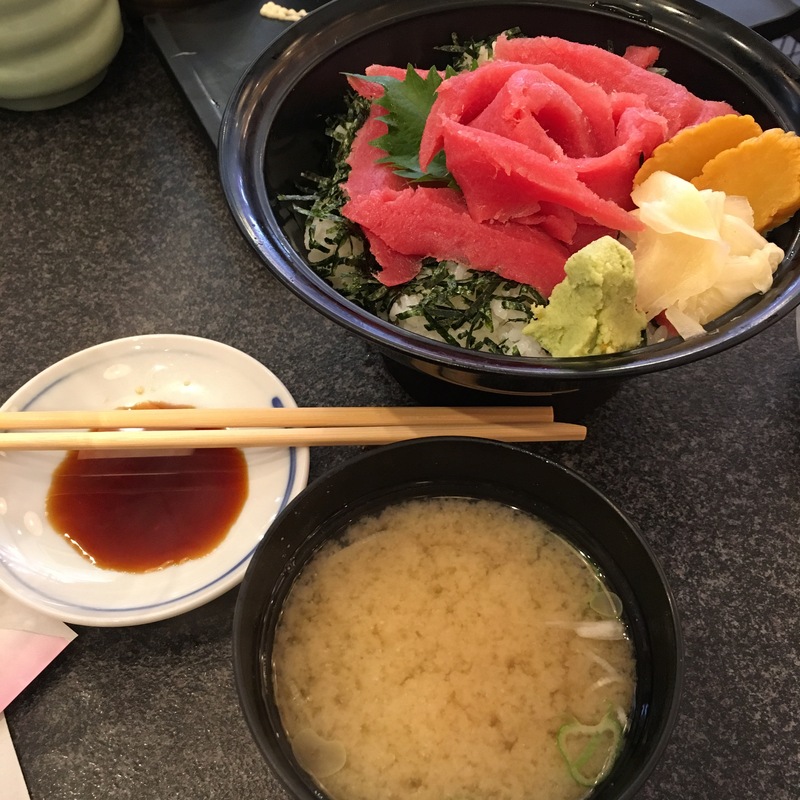 For lunch we stopped at a delicious sushi place that serves tuna rice bowls, my favorite! 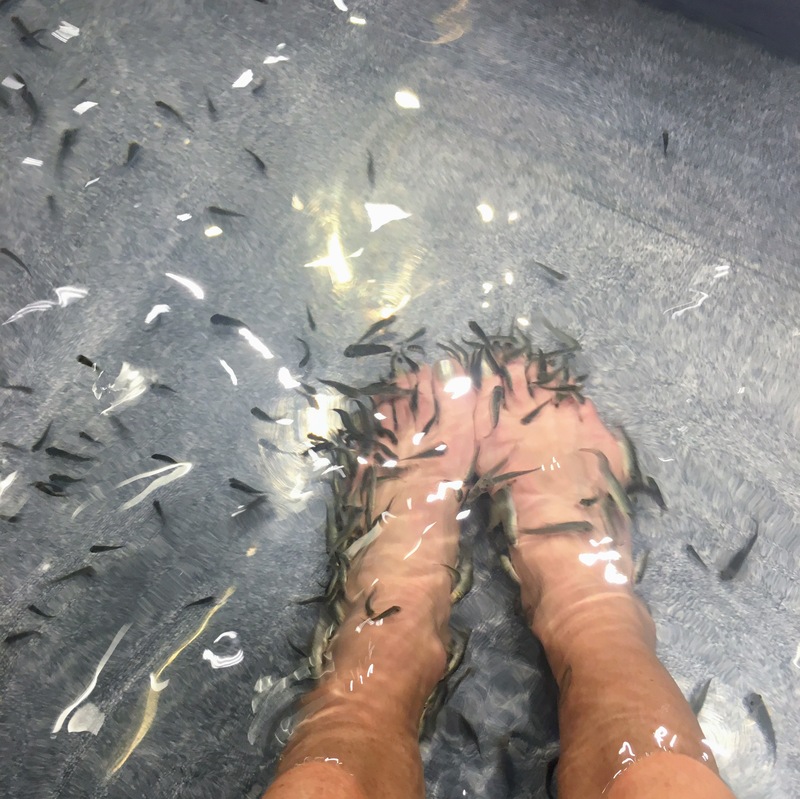 After lunch, we made our way to the Fish Foot Massage. 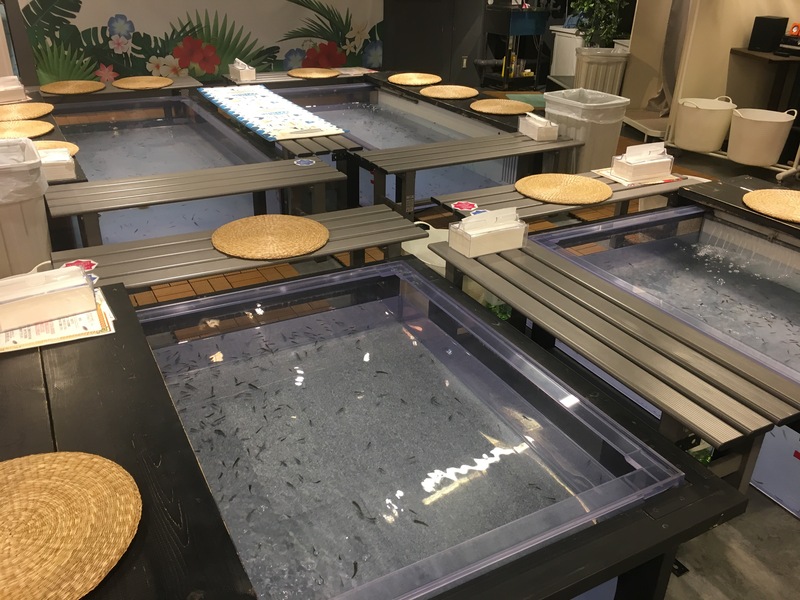 For ¥1000 ($9.50), you can soak your feet in a fish tank for 10 minutes. Students and kids are cheaper. The facility is full of tanks. I was secretly hoping it would be too crowded and we would need to come again another day. Alas, no. It was empty. 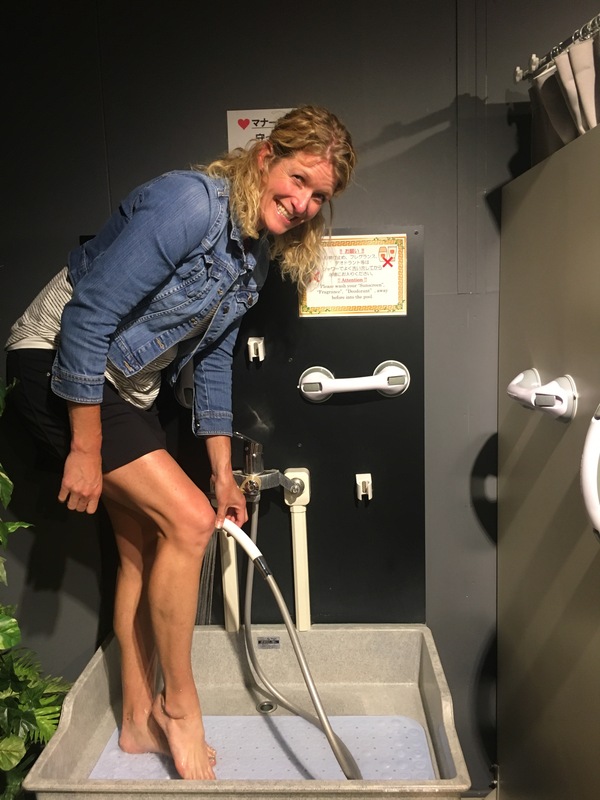 The receptionist escorted us to the foot bath first. 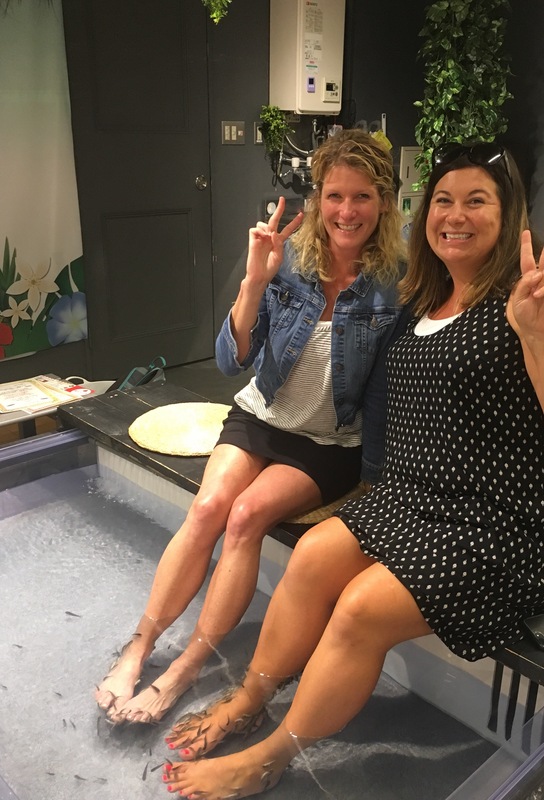 Here we washed our feet before dipping them into the tank. She then showed us to our tank and instructed us to dip our feet in. I was following her directions perfectly until I saw the fish schooling under my feet before I put them in the water!! OMG! Look at all the fish! I was a little scared and decided to wait for Katie. Together, we plunged our feet into the fishies. Look at the grimace on my face!!! It tickled. It really tickled. Katie and I tried to decide if it was their mouths or their fins that tickled. Both. Seriously, OMG! Both. It was weird and anything but relaxing. At times one of us would need a break and lift out our feet. When we did, the fish would go immediately to the other person! Close to the end of our time, Katie commented how long 10 minutes seemed. I couldn’t agree more! We also discussed how was this sanitary, relaxing, or ok? We decided – because Japan. I’ll keep my fins fingers crossed I don’t start growing scales. Finally, the receptionist told us our time was up. We were so relieved. Whew. It was such a weird experience. When you visit we can easily add this to your itinerary. You’ll love it! Or at least I will love watching your reaction!